Available beginning April 10th. 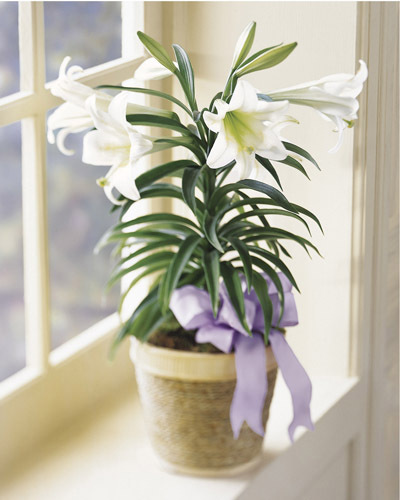 This lovely white Easter lily is presented in a 6 diameter container and is trimmed with a lavender satin bow. A traditional gift for the spring season, it also makes a wonderful hostess gift for Easter celebrations. The Deluxe plant option is a double stem.